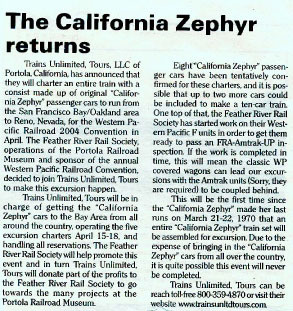 Where: Amtrak station, Emeryville, Calif.
Out and about: We rode a special reincarnation of the original Vista-Dome California Zephyr train, which ran from 1949 to 1970 between Chicago and Oakland via Denver and Salt Lake City on the Burlington, Rio Grande and Western Pacific railroads. 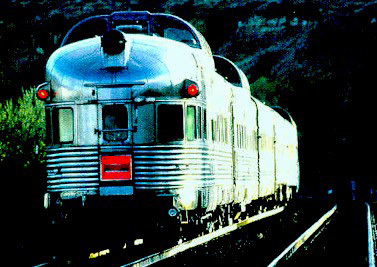 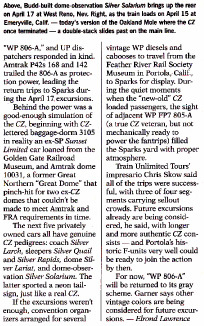 This splendid trip, from Reno to Emeryville on April 18, used seven of the passenger cars (coaches, sleepers, Vista-Dome lounges and observation, now privately owned) and one of the engines of the original California Zephyr. 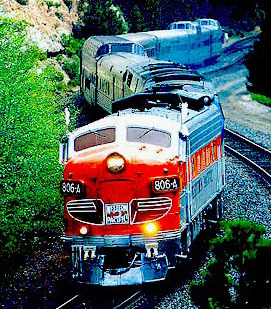 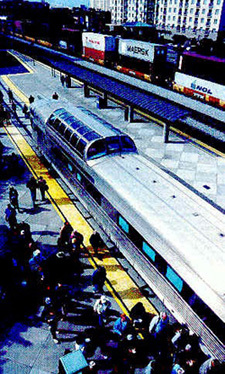 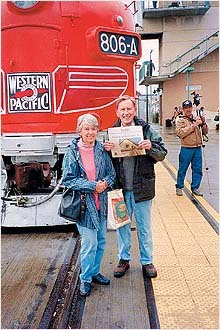 Travel tip: Trains & Travel ( www.traintrips.biz ) of Portola, Calif., runs specialty tours and packages all over the world, including the United States, Canada, Mexico, Alaska, South America and China. 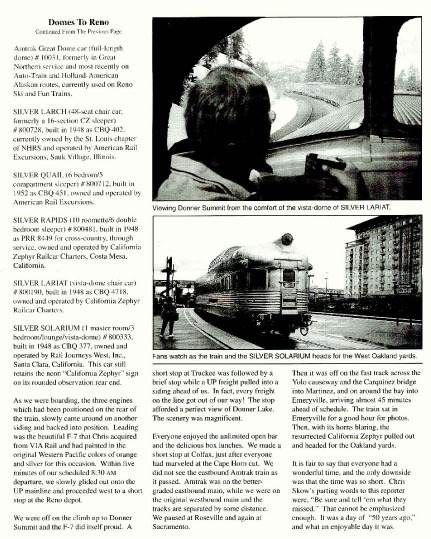 Even to a non-rail fan, these tours are informative, enjoyable and unique. 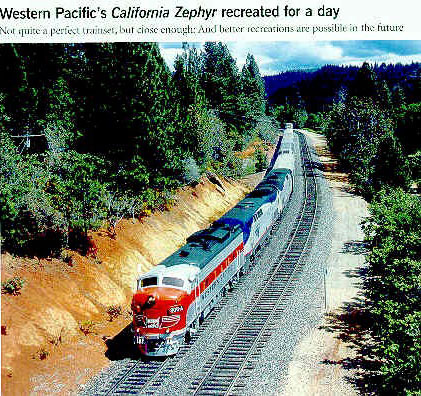 This is an ad we ran in Reno Magazine. 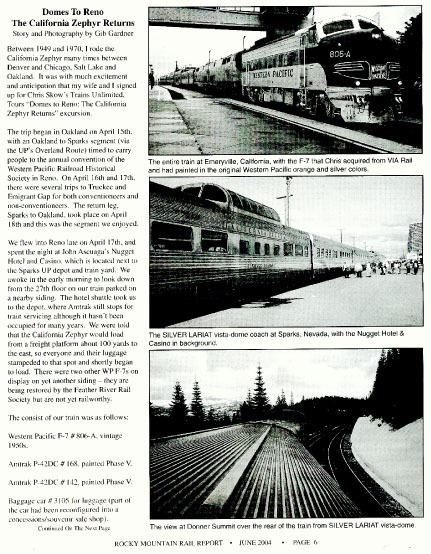 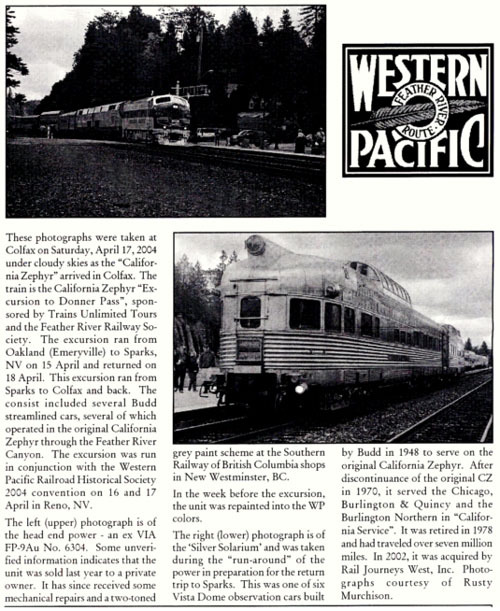 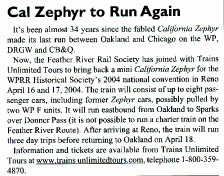 From the March/April 2004 Western Railroader. 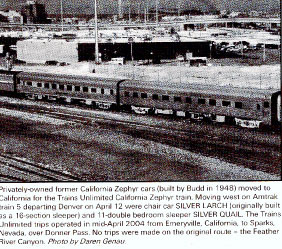 From the June 2004 Rocky Mountain Rail Report. 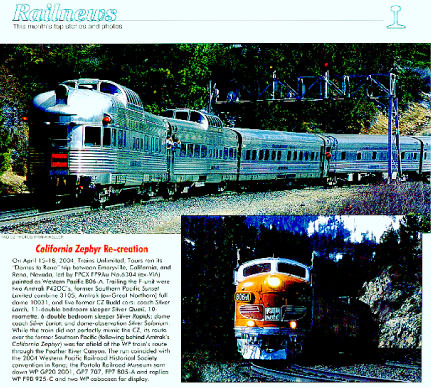 From the January-February 2004 The Headlight. 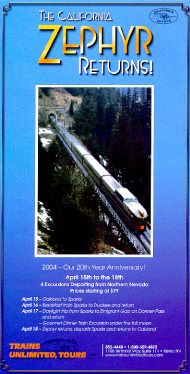 Visits Since June 12, 2004.